Beat the heat in your apartment. The heat is certainly on it way. The average temperature of this week was about 80 degrees Fahrenheit. Are you feeling the heat yet? If you’re not, then you might be feeling it soon. Now, you know what that means. The time to crank up the air conditioning is right around the corner. This may make you cringe because you’ve finally gotten comfortable with your energy bills. Now, don’t fret too much. 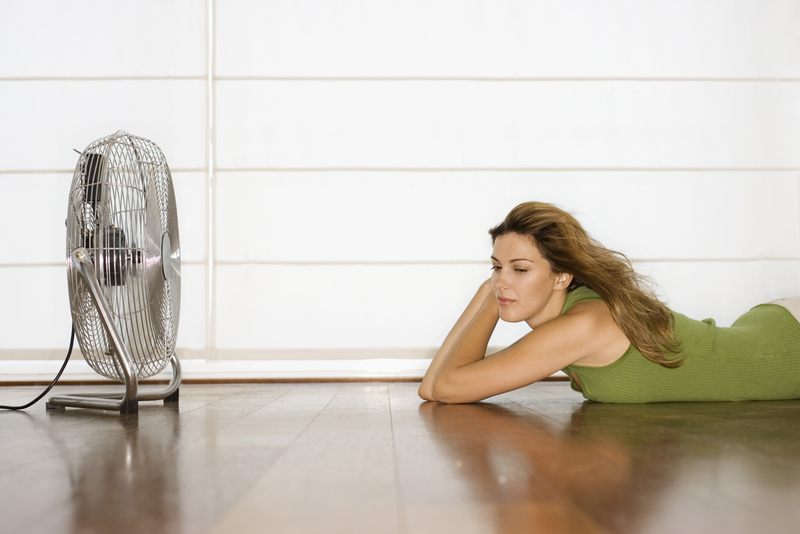 We’re here to give you some tips on cooling your apartment without spending a small fortune. Ready? Let’s do this! Change your Sheets: Many people use flannel sheets in the winter, but keeping those on your bed during the warmer months is going to be a nightmare. Try something light and cotton for your spring and summer sheets. You will definitely feel the difference. Keep the air moving: Stagnant air can often feel hotter than moving air. Maybe it’s all the humidity hanging around. Utilize your ceiling fans and make sure they are clean. You wouldn’t want dust flying around. If ceiling fans aren’t enough, then you can toss a few standing fans around the house. You can also combine the efforts of your AC unit and your ceiling fan to maximize their effectiveness. Keep the blinds closed: All that sunlight filtering through your windows can turn your living room into a greenhouse, so make sure that your blinds are keeping some of the heat out. Cool off with a splash: A splash of water here and there can greatly reduce your heat. Try splashing your arms all the way up to the elbows, your neck, and your face with water and cool yourself down instantly. Looking for an apartment this spring? This entry was posted on Friday, May 8th, 2015	at 7:23 pm	. Both comments and pings are currently closed.